Right now I’m in the middle of an edit of my new book and in a bit of a break from reviewing books for publishers. I decided it was time for me to write a post that has nothing to do with books, however. This one will be a more personal. I don’t know about y’all but I hate it when people belittle me even when they do it unbeknownst to them. I can’t tell you how many times I’ve been told that what I do doesn’t count as work because it isn’t physical work. They don’t say it necessarily in those terms but they say it just the same. My work, whether it’s writing a novel or working in the library, is more mental work and can still take a lot out of a person. But because it’s not physical labor it doesn’t count for as much. I’ve written a novella and have been working on my novel for close to two years and there are people in my life who don’t realize how much work goes into writing a book. I’ve had people tell me that anyone could write a book. Anyone may be able to write a book but not everyone can make a book’s plot, characters, setting, description, dialogue and everything else that makes up a book work to make a believable story. I would also consider myself fairly knowledgeable in sports, especially when compared to other women but there are certain people in my life who belittle me in this as well. They tell me that I haven’t watched enough sports to truly get everything that happens. I struggle with being objective in many things and when it comes to my sports teams I am this way. Because I go a little overboard in my subjectivity at times, there are people in my life who would say I don’t know enough about sports. Maybe I’m just too sensitive but I can’t entirely help it. It’s part of my personality and part of who I am. If I wasn’t sensitive, I would be a completely different person. And I thought being myself was a good thing. Isn’t it? I’m not supposed to try to be someone else and people shouldn’t expect me to be. Some things never change . . . and some things change you forever. Sarah Cooley has come home to Last Chance, New Mexico, for one reason—because it doesn’t change. After a relationship gone bad with a man who wanted to change everything about her, Sarah is more than ready for the town whose motto may as well be, “If it ain’t broke, don’t fix it.” Chris Reed, on the other hand, wants nothing more than to spark some change in the little town. As the new owner of the Dip ’n’ Dine, he’s shaking things up to draw folks from all over the Southwest into his restaurant. As it turns out, the winds of change are blowing into Last Chance—just not in the ways that Sarah or Chris might expect. This is the second book in the A Place to Call Home series. I did not read the first one but it didn’t affect the way I read this one. It was an okay book but it didn’t live up to my expectations. This is supposed to be a romance novel and I found the romance lacking. The romance aspect of the book seemed to drag on until the end where it happened fairly quickly. It was almost as if the two fell in love without anything really happening between them. At times I also felt like yelling at Sarah because it seemed like she lacked a backbone when it came to Brandon. He kept manipulating her but she didn’t seem to notice or care. She continuously let him get away with it until something happened to let her see what a jerk he was which she should have noticed a long time ago. It was an okay book but it was too slow going until the end for my tastes. 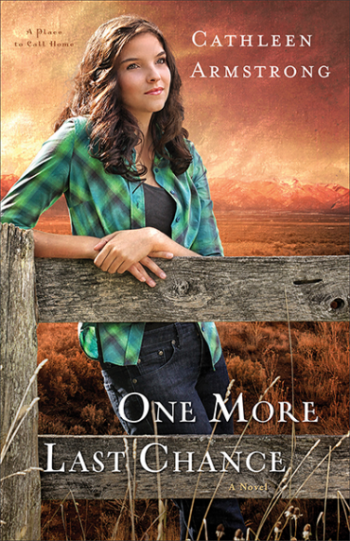 Emily Hunt might come from a family of cops, but she never goes looking for an adrenaline rush. She lives the quiet–well, relatively quiet–life of a teacher and thrives on making a difference in the lives of her students. But she’ll have to draw on a well of strength and savvy she didn’t know she had as student Rafael Cerda takes her class hostage for ransom money to save his brother’s life. This is the second book in the Southern Crimes series by Lisa Harris. There were some things, especially at the beginning of the book that I thought would have made a lot more sense had I read the first book in the series. The majority of the book made sense but there were some details that I felt would have been more clear by reading the first book. I felt the suspense of the book was well written. It kept me on the edge of my seat and there were even a few twists thrown in there that left me a little shocked which doesn’t happen often anymore in novels. However, I was skeptical of the romance because most of the book took place in one day and it felt unrealistic to me for them to fall for each other so fast. I felt it did redeem itself a little bit at the end of the book. Claire Summers is a determined, independent single mother who is doing her best to make lemonade out of the lemons life has handed her. Keith Watson is a results-oriented workaholic with no time for a social life. As the executive assistant to a local philanthropic businessman, he’s used to fielding requests for donations. But when a letter from Claire’s eleven-year-old daughter reaches his desk, everything changes. The girl isn’t asking for money, but for help finding the long-lost son of an older neighbor. As Keith digs reluctantly into this complicated assignment, he has no idea how intertwined his life and Claire’s will become–nor how one little girl’s kindhearted request will touch so many lives and reap so many blessings. I’ve read all of Irene Hannon’s romantic suspense novels but this was my first time reading one of her contemporary romance novels. I liked it, although I did occasionally find myself wondering when the suspense was going to come in and had to remind myself that it wasn’t a suspense novel. I liked how Hannon wrote with two different story lines that were connected. We got to read about Maureen and David’s story and Keith and Claire’s story. I felt more connected to Keith and Claire’s but that could have been because I related with Claire and her distrust of people. I struggle with trusting people and related to Claire in this way. 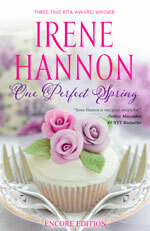 Now that I have a taste of the Irene Hannon’s contemporary romance novels, I plan to read more of them. Pinkerton Detective Miranda Hunt has been tasked with apprehending the Phantom – a notorious train robber thought to be hiding on the sprawling Last Chance Ranch. But she isn’t the only one there with something to hide. Wells Fargo detective Jeremy Taggert is working the scene undercover as well. Although their true identities are a secret—and both are suspicious of the other—it is impossible for Jeremy and Miranda to hide the spark that flares between them. But with careers and lives on the line, love will have to wait—perhaps forever. 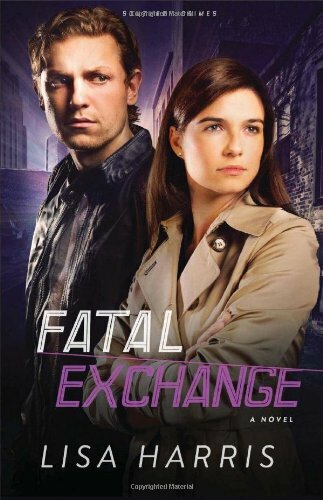 I generally liked this book, mostly because of the suspense/mystery aspect. I love trying to figure out things and had figured out who was the “Phantom” fairly on, although I was kind of hoping I was wrong because I love it when there are twists I wasn’t expecting. I got a little frustrated with Annie and Branch for not figuring it out earlier but I guess it wouldn’t have been much of a novel if they had. I also felt like certain things could have played out more like Annie’s struggle with disliking Wells Fargo detectives. I felt like I didn’t get to see much of the struggle and all of a sudden she was over it. I also would have liked to see more from Branch’s perspective. I only got the occasional glance at his perspective and would have liked more. This was the third book in the series but you don’t have to read the other ones to get it. I hadn’t read the first two and I wasn’t lost in that regard. I found the book a little predictable but it was for the most part still an enjoyable read.